Your driveway sealing quote should be around €4.00 – €5.50 per metre square for a 2 coat resin acrylic sealer, €3 – €4.50 per square meter for one coat sealer application (usually on pattern imprinted concrete (PIC) driveways that were sealed less than a couple of years ago or one coat matt on blocks) and €5.50 – €7.50 per metre squared for a high grade polyurethane sealer such as resiblock. This is before the price of cleaning is added! anything well below this and you are probably getting a water based sealer which are milky white in colour when being installed or another reason for a cheap quote on a solent based sealer price is your sealer could have been thinned down with solvents such as xylene, thus reducing the solids content of the sealant. Leaf 2 Leaf Landscapes will never hard sell a sealant as we believe having a driveway, paving or patio area sealed solely for aesthetic and taste purposes (with the exception of pattern imprinted concrete which must have a sealer applied as it forms part of the structure and performance of the driveway) but there are proven benefits to having your driveway sealed, listed below, but please remember, there are no guarentees with any sealer when it comes to weeds… (no one can give a guarentee against stopping life forming! )… weeds and moss WILL grow back eventually, driveway and patio paving sealers just ‘inhibit’ weed growth. To combat this we recommend using a weed killer periodically to keep on top of problematic weeds. For moss we recommend a very easy to apply algaecide or fungicide such as ‘Patio magic’ or ‘Hero’ availible from all local supermarkets. What are the benefits of having a driveway or patio sealer applied and what are the main properties of the sealants that ‘Leaf 2 Leaf Landscapes’ use? 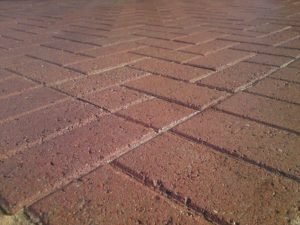 Please do not hesitate to contact us regarding any of our driveway, patio, Indian sand stone or block paving sealer, sealant & sealing services in and around Dublin & Surrounding Counties.